Faster reviews and more industry-friendly risk assessments are among the changes. 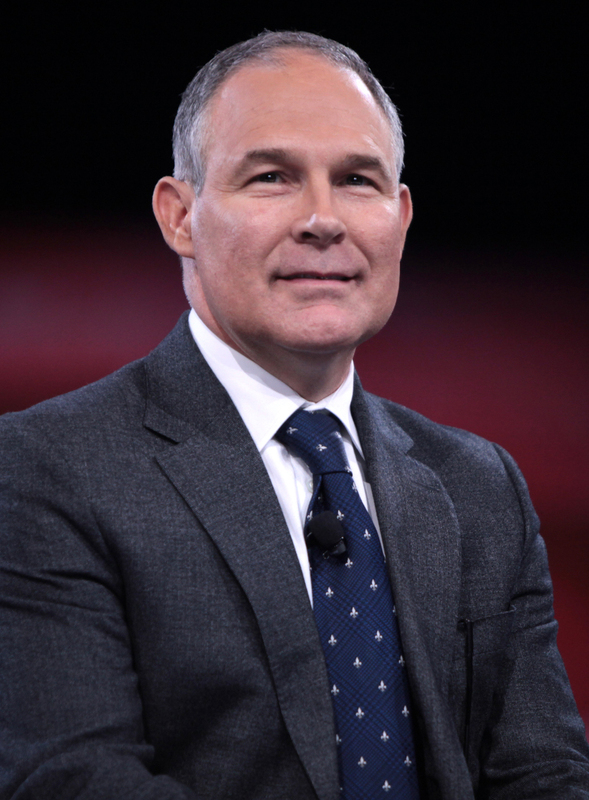 EPA Administrator Scott Pruitt recently announced how the agency will review new chemicals under TSCA. Photo: Gage Skidmore. License: CC BY-SA 3.0. New chemical reviews are speeding up at the U.S. Environmental Protection Agency (EPA). The changes include faster reviews, more collaboration with chemical manufacturers, and a subtle but important shift in how the agency will conduct risk evaluations—predictions of how likely a chemical is to harm people or the environment. EPA will focus on the “intended uses” of new chemicals, meaning the specific uses the chemical manufacturer already expects. “Reasonably foreseen uses”—things the new chemical could be used for in the future—will be taken into account only “where facts suggest the activity is not only possible, but, over time under proper conditions, probable.” This suggests the agency will focus its risk evaluations narrowly and is unlikely to account for potential hazardous impacts throughout manufacture, use, and degradation. The new rules do not cover how EPA handles chemicals already on the market.